A degree in artificial intelligence engineering? Is there really such a thing? According to Artificial Intelligence International, there absolutely is. In fact, there are enough universities in the United States that offer programs in artificial intelligence, or AI, that we were able to research them all and come up with a ranking of the top 20. Although programs in this field are growing, they are not so ubiquitous that information about them – such as performance statistics, comparisons, and student preferences – are free flowing. However, as we explored our options, a few trends emerged that made it easier to determine which schools are the “top dogs” in AI education. First, most programs are at the graduate level – and in a majority of those cases, the study of artificial intelligence was confined to a few measly elective courses. But there was a subset of schools on our original list that went above and beyond, providing specialized and/or comprehensive academic degrees in artificial intelligence starting at the undergraduate level. These overachievers formed the basis of our ranking, but we still needed a way to compare the programs with each other. At this point, we noticed another trend: our searches of artificial intelligence degrees led us to schools’ research webpages as often as their admissions sites. Clearly, research is an important part of the subject. Students who really want to be on the cutting edge of the field need to do everything they can to get their hands dirty by helping out in an on-campus lab – or in the case of graduate students, completing original research. To identify the shining stars in AI research, we looked at the breadth and depth of each school’s program, making special note of quantifiable metrics like the number of faculty affiliated with work in artificial intelligence and the variety of focus areas in which the program claims expertise. With this data in hand, we formed our top 20 ranking of artificial intelligence engineering schools. All 20 offer baccalaureate degrees, 14 offer graduate degrees, and all 20 have very productive research departments. Whether you like the sound of the program that placed 1st or 20th, it’s hard to go wrong with any of the options listed below. 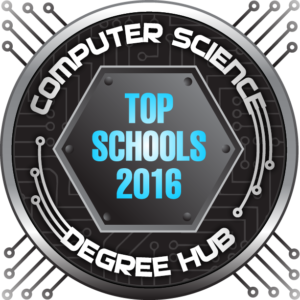 Read on to see which schools made the cut on this ranking of winners. Undergrads at UC San Diego can make the most of their Computer Science: Artificial Intelligence degree by completing an honors research project on the subject. 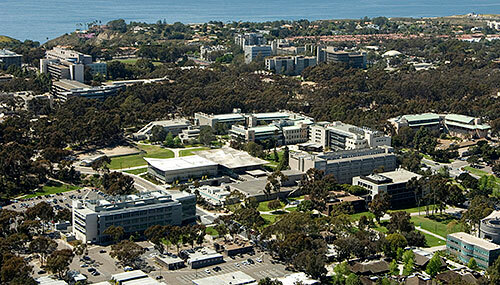 At the UC San Diego Jacobs School of Engineering, undergraduates and graduate students alike can take advantage of unique opportunities in artificial intelligence. Students pursuing their bachelor’s degree in Computer Science have the option of adding a “cluster” (much like a concentration) in AI to their coursework. Courses in search and reasoning, computer vision, and image processing are available alongside independent study and research opportunities to help students prepare for a career in next generation computing. Speaking of research, graduate students can get involved in cutting-edge AI work by joining the Artificial Intelligence Group. This group seeks to develop real-world applications for technologies related to bioinformatics, data mining, speech and audio processing, and more. Faculty at Georgia State University have helped organize more than 150 AI conferences and workshops, making this one of the best schools for artificial intelligence. 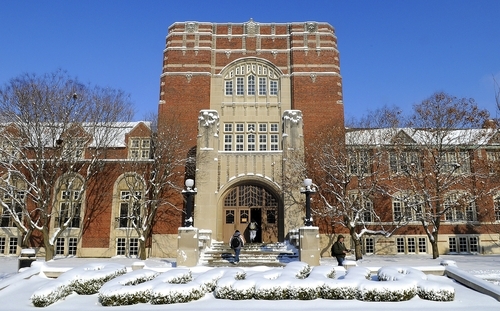 Students interested in an artificial intelligence degree should take a close look at the Machine Intelligence track at Purdue University. 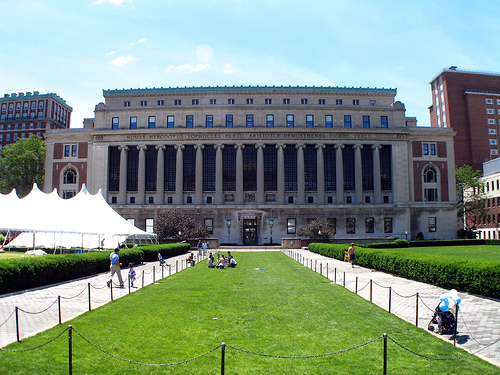 Columbia University’s impressive facilities and resources make a strong case for its inclusion on this artificial intelligence degrees ranking. Even if you weren’t interested in an artificial intelligence degree, Columbia University’s program in Computer Science would be an attractive choice. 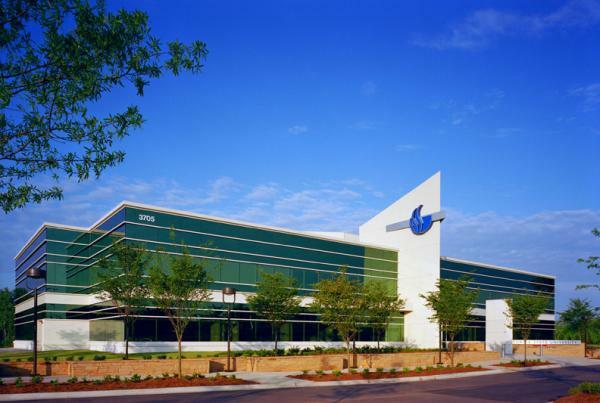 It has some of the most impressive facilities on the East Coast, including lab areas for robotics, natural language processing, and computer vision. Prototype wearable computers, 3-D graphics workstations, and IBM robotic arms are just a few of the extra cool features you’ll see in Columbia computing labs. But for students who do want to study AI, the university provides an entire track of courses devoted to understanding systems that exhibit “’human-like’ intelligence.” Of course, Columbia is also a research powerhouse that attracts graduate students from near and far. Over a dozen faculty specialize in areas related to Machine Learning, Vision and Robotics, and Graphics and User Interfaces. The comprehensive and impressive RAIR Laboratory has distinguished Rensselaer Polytechnic Institute as one of the top artificial intelligence schools. For students who want an artificial intelligence degree, Harvard University has resources and research opportunities to spare. There is a reason Harvard has appeared on top rankings of colleges for more than a century. The pristine facilities and endless resources that this university is able to afford its students are second to none, and it has attracted faculty who support a broad and varied assortment of coursework. For example, all students who “concentrate” in Computer Science at Harvard can complete classes in artificial intelligence and graphics, visualization, and user interfaces. But beyond this, students in Comp Sci can specialize in “Mind, Brain, and Behavior,” an interdisciplinary track that requires its members to complete research before graduation. And of course, Harvard is no slacker when it comes to research: the Artificial Intelligence Research Group (AIRG) is composed of top faculty studying everything from social computing to computational linguistics. 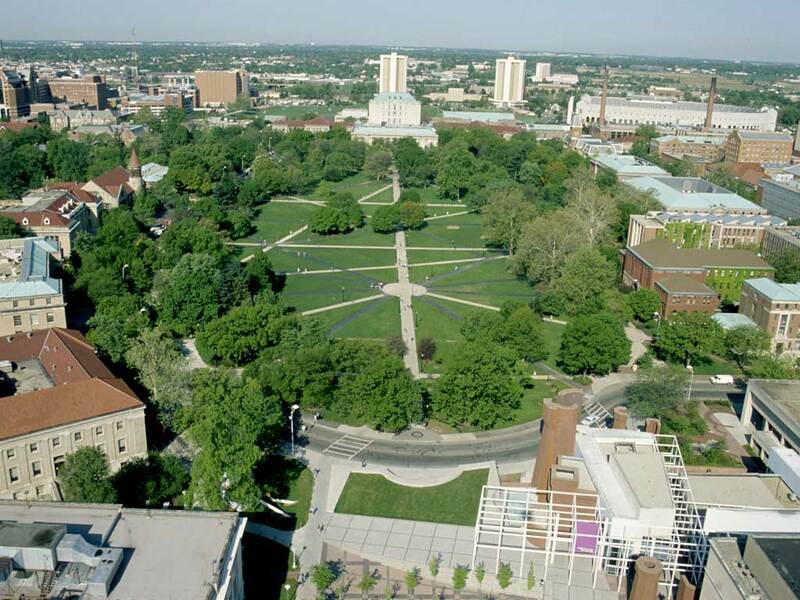 OSU’s “LAIR” is one of the best research facilities on this artificial intelligence degree ranking, with opportunities in cognitive systems, machine learning, neurodynamics, and more. Artificial intelligence degree seeking students at the University of Rochester can take advantage of research opportunities with high-tech groups like the Center for Computation and the Brain. 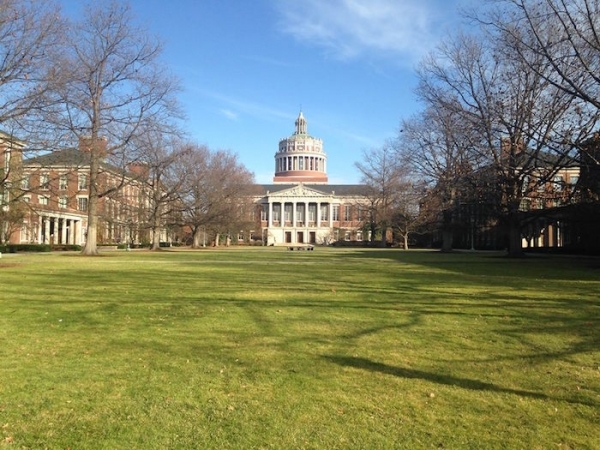 If you’re looking not just to do research in AI, but also to actually earn a comprehensive artificial intelligence degree, the University of Rochester may be the place to do it. In fact, this high tech school has multiple academic options for both undergraduate and graduate students. Students seeking a BS in Computer Science can choose between two AI-related areas of interest: Machine Learning and Robotics, which focuses on data mining and machine vision; or Human-Computer Interaction and Web, which emphasizes cutting-edge HCI developments in web applications. For MS students, course options are broader and include everything from advanced algorithms and statistical speech to cognitive processing and data mining. And students at both levels can take advantage of research opportunities with professors who are leading the field in artificial intelligence innovations. 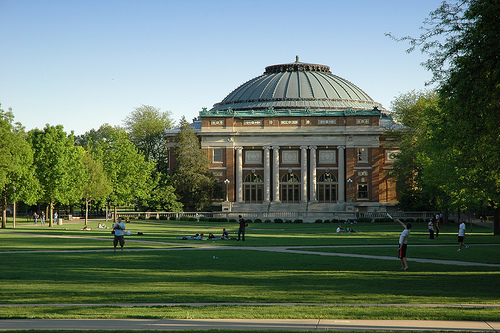 Northwestern University stands out among top artificial intelligence schools for its comprehensive AI program for undergraduates. 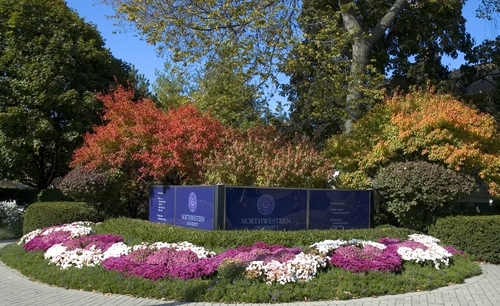 At Northwestern University, undergraduate students have the opportunity to complete “breadth” and “depth” requirements within their major – just like graduate students. One of these “depth” options for computer science majors is in Artificial Intelligence, and unlike other schools (which only offer three or four courses in a typical specialization) Northwestern’s AI track includes nearly 20 different course options. You could study Natural Language Processing, Knowledge Representation and Reasoning, and Computational Geometry, to name a few. There is even a class in which students build “next gen” devices using Watson, IBM’s smart computer. The McCormick School of Engineering has established a robust research program as well, which includes opportunities to investigate artificial intelligence, machine learning, and human computer interaction. 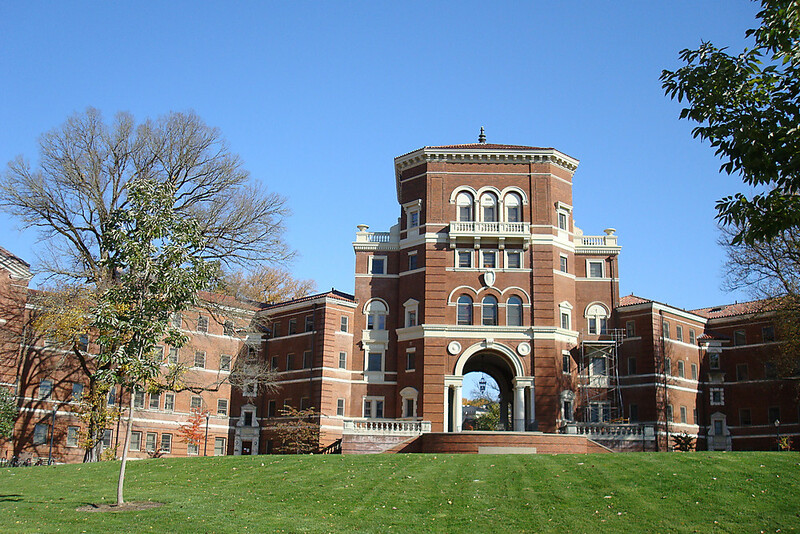 Oregon State University is another artificial intelligence school with a comprehensive set of courses for undergrads – as well as several for grad students. Graduate students earning their artificial intelligence degree from Indiana University are known for their creative outlook as they have a tendency to enter (and win) the Microsoft Imagine Cup Student Design Competition. 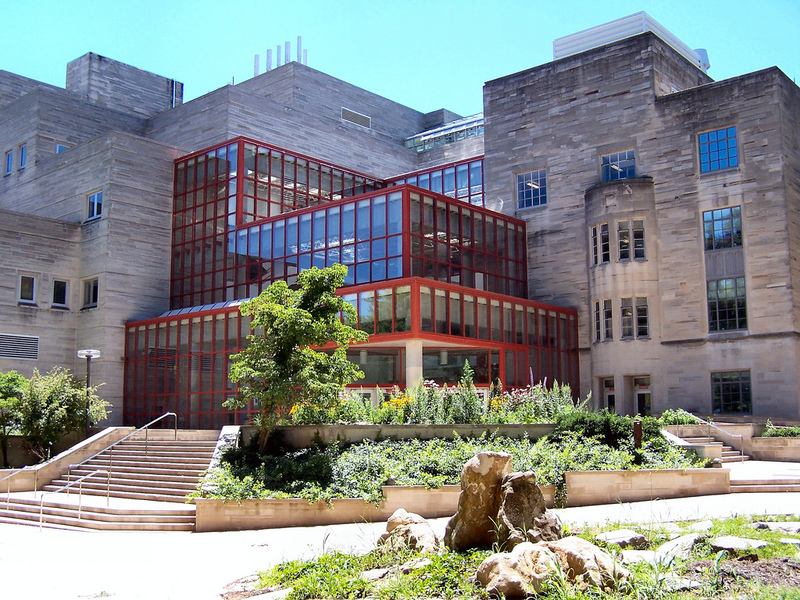 Indiana University is the only school in this ranking to offer a full-fledged, standalone undergraduate degree in AI that is not simply a concentration within the general computer science program. The new BS in Intelligent Systems Engineering is “all about going small to make a big impact”, which means that students focus on “small-scale, networked, and mobile technology.” Concentrations within this program include Bioengineering, Computer Engineering/Cyber-physical Systems, and Molecular and Nanoscale Engineering. As for grad students, the MS in HCI Design merges technology and creativity in a program that’s solution-oriented and project based. This graduate degree is also available as a track within the Ph.D. in Informatics and includes numerous research opportunities in artificial intelligence. 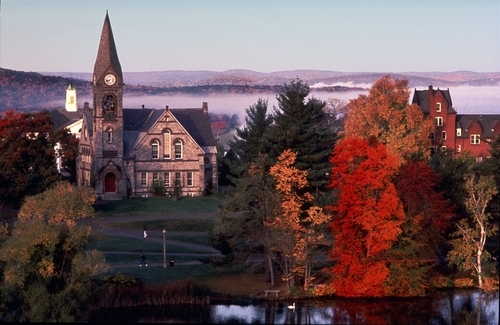 Whether you’re interested in data mining, robotics, or language processing, the University of Massachusetts Amherst has the artificial intelligence degree program – and research expertise – you’ll need. BS students who want to get hands-on experience while earning their artificial intelligence degree should consider UIUP’s ECE program, which encourages all faculty to support undergraduate researchers. 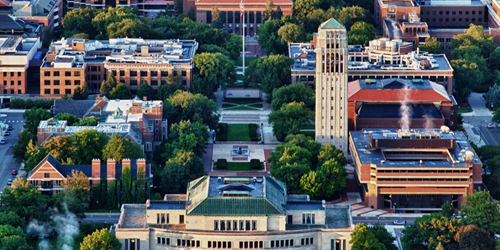 The Artificial Intelligence Laboratory at the University of Michigan houses 10 distinct research groups, making this school stand out on our artificial intelligence degree ranking. 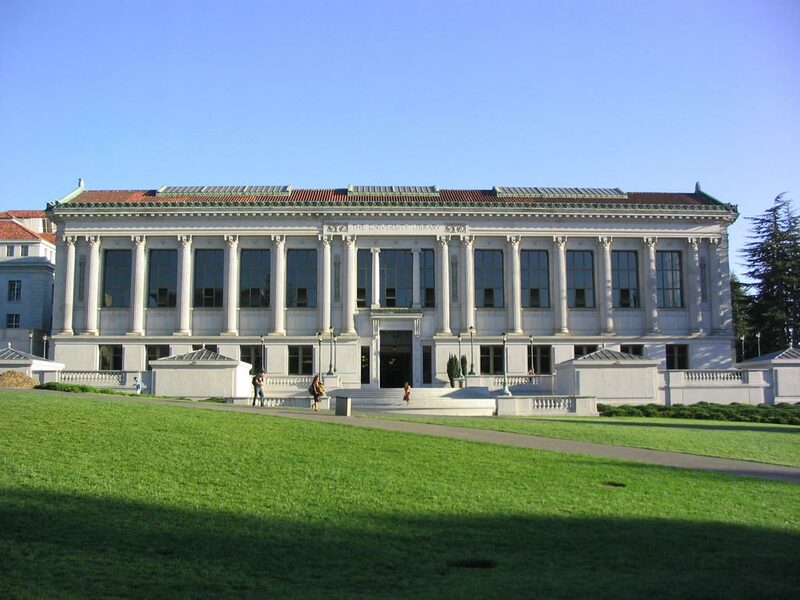 In addition to its BS in Computer Science, UC Berkeley offers a Cognitive Science program with a track in Computation that students can customize to earn an artificial intelligence degree. 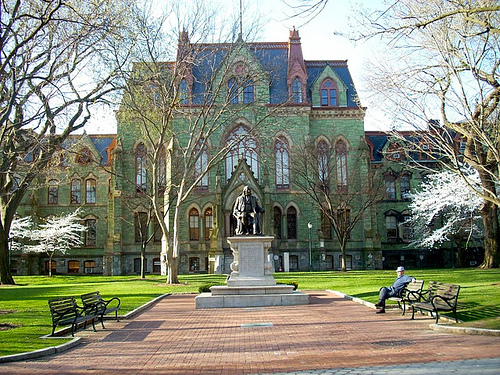 Offering the only dual degree option on this ranking of artificial intelligence schools, UPenn’s Computer and Cognitive Science program demands a sincere passion and a strong work ethic. We’ll admit, the artificial intelligence degree for undergraduates at the University of Pennsylvania is not for the faint of heart. Instead of opting for a specific concentration, AI students agree to a dual degree program in Computer and Cognitive Science. Although it might be more work than a traditional program, UPenn students are nothing if not ambitious! Here, you can choose between a BAS or BSE while taking classes across Penn Engineering and the College of Arts and Sciences. And this is another university with a particularly strong research program; research activities run from Intelligent Systems to Theory and are currently thriving in several interdisciplinary labs on campus. In terms of both research and academics, the University of Georgia is one of the best choices on this artificial intelligence degree ranking. The University of Georgia is a clear “top dog” when it comes to artificial intelligence schools. 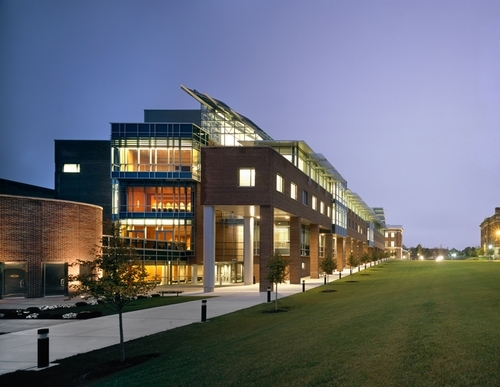 In fact, the Franklin College of Arts and Sciences houses an entire Institute for Artificial Intelligence! Here, undergrads can major in Cognitive Science and choose from two or more areas of concentration, one of which is Artificial Intelligence, of course. 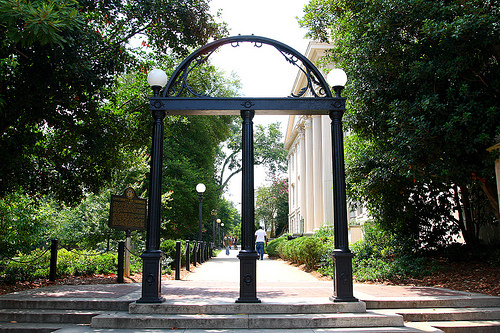 UGA is also home to perhaps the only master’s program in the country that focuses exclusively on AI, and students have the unique opportunity to further specialize their degree by choosing from tracks like Genetic Algorithms, Logic Programming, Cognitive Modeling, Microelectronics, and several others. Rounding out this already impressive profile is an artificial intelligence research program that includes more than two-dozen faculty – each of whom bring experience from other departments within the school. 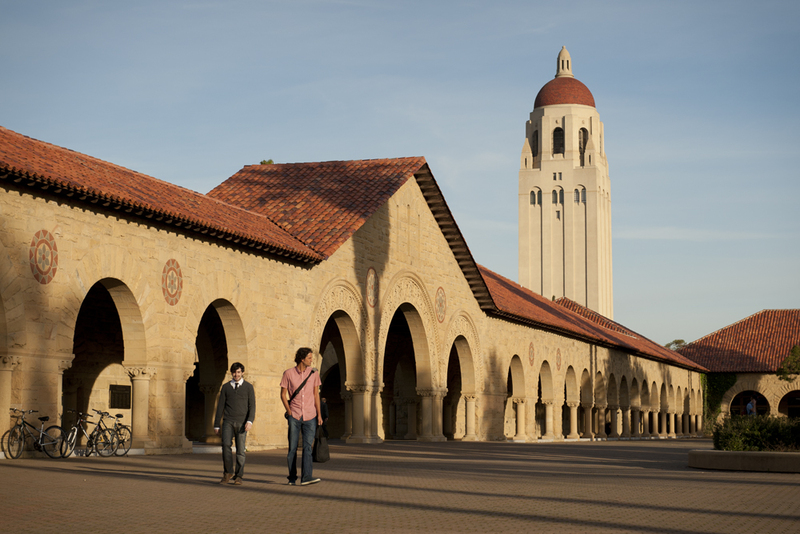 There are nearly 30 faculty at Stanford who specialize in AI, Robotics, and Human-Computer Interaction, insuring this university’s status as one of the best artificial intelligence schools for many years to come. The University of Washington is widely considered one of the best locations for AI research in the world, so it’s no wonder it comes in 2nd on our top artificial intelligence schools ranking. For those who like variety, the University of Washington’s CSE program is the spice of life. 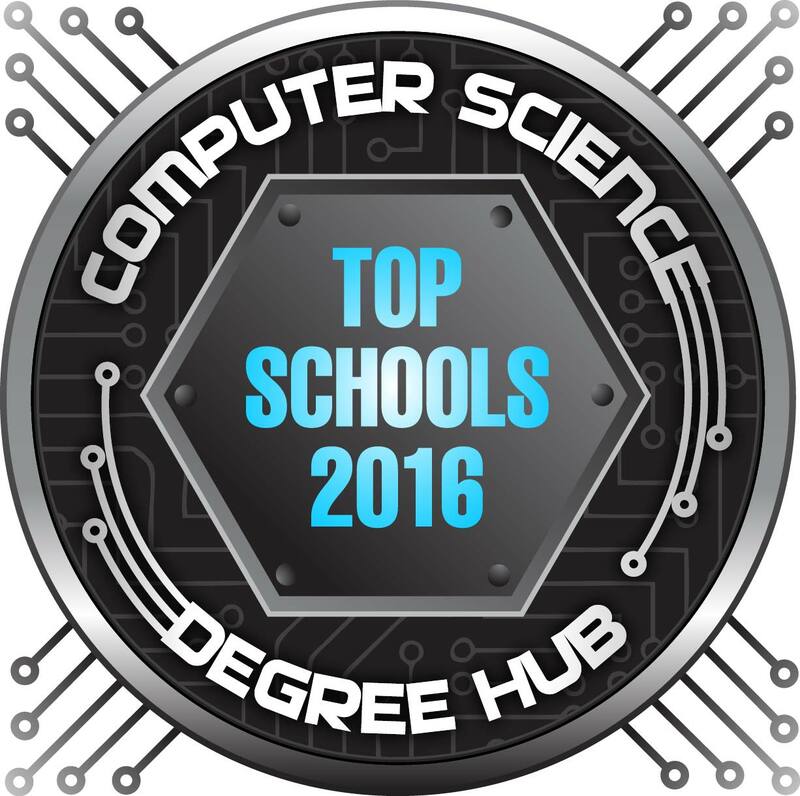 Computer Science Engineering undergraduates enjoy the unparalleled opportunity to choose from 16 specializations! Many of these are both interdisciplinary and innovative in nature, and the User Interface and Human-Computer Interaction track is the perfect choice for AI enthusiasts. By offering courses through the Information School as well as the School of Art, Department of Human Centered Design and Engineering, and the Interaction Design Program, UW has crafted a highly marketable curriculum that blends science and art in the best ways. The university also hosts a star-studded artificial intelligence research group comprised of more than 30 faculty who regularly publish papers and win awards for their work in the AI field. Research Groups: Automated Planning & Control; Brain-Computer Interfaces & Computational Neuroscience; Computational Biology; Intelligent Interaction; Machine Learning; Natural Language Processing; Robotics; Graphics & Imaging Laboratory. The University of Tennessee-Knoxville is one artificial intelligence school that understands the value of hard work, having pushed its AI research program to grow from a “simple faculty initiative” to a national leader in the field in less than a decade. 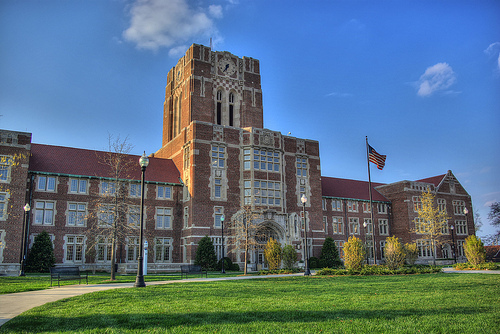 If you really have your heart set on attending the #1 artificial intelligence school out there, then you should probably set your sights on the University of Tennessee at Knoxville. Starting at the undergraduate level, students in the computer science program can enhance their knowledge of artificial intelligence through specialized courses in biologically inspired computation, pattern recognition, and machine learning. But graduate students (and those who enter the five-year BS/MS program) get the biggest reward for choosing UT: access to the Center for Intelligent Systems and Machine Learning. This gargantuan initiative – which only officially became a research center in 2010 – claims a staff of nearly 40 faculty members, including eight researchers from the Oak Ridge National Laboratory. Especially considering this group’s explosive growth in recent years, UT Knoxville certainly deserves its spot at the top of our list.